Doug "WCGRider" Polk, a regular in some of the highest stakes online, revealed this week that he was the victim of a deliberate attack on his PokerStars account by a hacker earlier this year. According to a post on the TwoPlusTwo poker forums, Polk's computer was compromised at some point this spring, allowing a player to see his hole cards during a high-stakes match. During a session on PokerStars on March 26, Polk lost around $35,000 to an unknown "fish" named "Forbidden536." Polk first sat down at the $5/$10 no-limit hold'em tables, lower than he usually plays, and after a brief match he and "Forbidden536" moved up to $25/$50, and then even higher to $50/$100. Polk was getting crushed, and he started to notice some unusual trends in his opponent's play. "I began to get absolutely wrecked," Polk explained. "He was leading 45%, min 3-betting and calling huge 4 bets with 83o, and then also c/r and c/f 28%. In 3 bet pots he raised every spot I didn't have it, and was c/f at an alarming frequency when I had the goods. I was beginning to get worried." Polk contacted PokerStars about his concerns, and a week later he got a call from the support staff saying they were investigating the matter. Then, on April 19, Polk was informed that PokerStars had frozen the "Forbidden536" account. "It does appear extremely likely that this player was able to see your hole cards during your recent playing session," the email from PokerStars read. On June 26, PokerStars concluded that Polk was in fact the victim of a superuser-style attack and credited his account with a full refund of $34,397.10. Polk stressed that the incident was not the fault of PokerStars' software. While Polk isn't certain of the identity of the perpetrator, he does have a suspect. 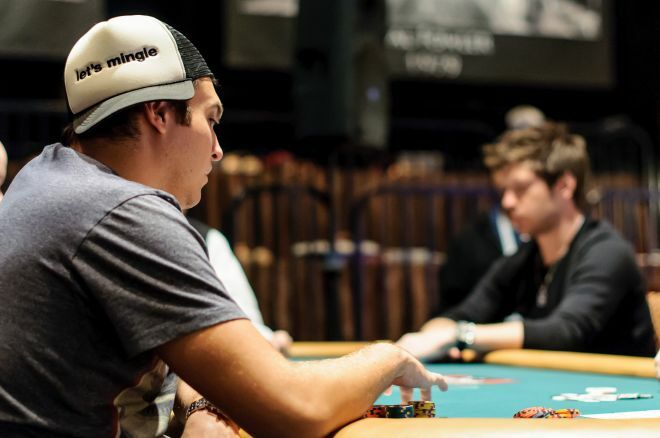 Polk recalls that in January, fellow high-stakes player Dan "Jungleman" Cates introduced him to a person named Joshua Tyler, an IT specialist from the U.K. In the following months, Polk allowed Tyler to stay at his apartment in Las Vegas on multiple occasions, even while Polk was out of the country, and it was after Tyler's visit from March 22-24 that the bizarre session against "Forbidden536" occurred. "One of my roommates saw Josh go into my office. The office is only accessible if you walk through the master bedroom into a balconied hallway that leads to it; the office is the only room in this area. My laptop is stored in my office, and is my exclusive computer used for poker while traveling. I don't understand why Josh would be in my office to begin with, nor what happened while he was there." 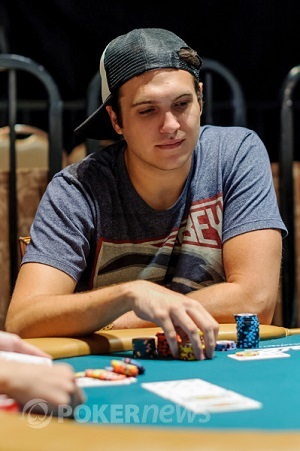 Polk warned the poker community to be watchful of Tyler. "At best he has poor ethics and takes part in suspicious activity, and at worst he has the ability to hack high stakes players for significant amounts of money," he said. We'll have more on this story if and when it develops. For the full version, check out Polk's post on TwoPlusTwo.com. Online Chat: Norwegian High-Stakes Cash Game Player “Odd_Oddsen” / "no_Ola"